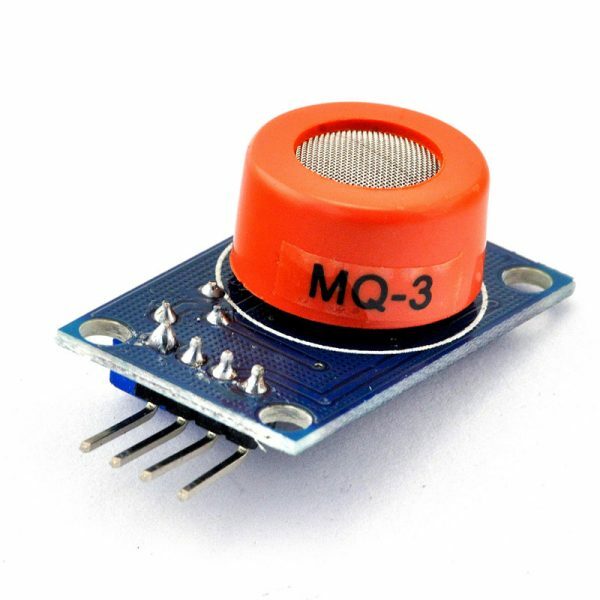 The MQ-3 alcohol sensor is suitable for detecting alcohol or ethanol concentration in your breath, just like a normal breathalyzer. The MQ-3 alcohol sensor is suitable for detecting alcohol or ethanol concentration in your breath, just like a normal breathalyzer. It has a high sensitivity and fast response time . The sensor provides an analog resistive output based on alcohol concentration. The drive circuit is very simple, all it needs is one resistor.